The Pixel 3 and 3 XL are due later this year, but there haven't been any leaks yet. 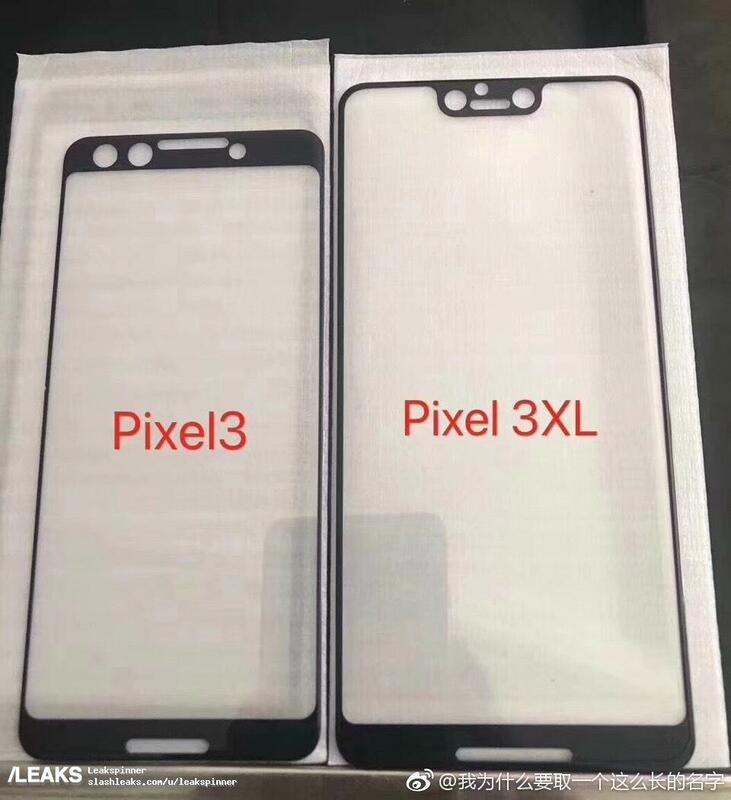 While there still aren't any leaks of the actual phones, a new image depicts what appear to be screen protectors for the upcoming Pixel phones. The XL is notch city, but both covers have some odd cutouts for sensors and/or cameras. Let's address the elephant in the room first—yep, that XL screen protector has a screen notch. This isn't necessarily surprising, but I am a little concerned about how clunky the design looks. The notch is really tall, like, Essential Phone tall. This doesn't save as much space on the display because you end up with a giant status bar. So, that's one issue, and the other is that giant chin. There's a speaker down there (along with one at the top), but yikes. That's not a good look. The smaller device looks a bit more elegant, in my opinion. It still has front-facing speakers, but there's no notch. The bezels have also slimmed down compared to the Pixel 2. The display has rounded corners like the 3 XL rather than sharp like the Pixel 2. Both screen protectors have cutouts for sensors up top, but there are three of them—one small and two large. The small one is probably for the proximity/light sensors, and at least one of the larger openings is for a camera. Could there be two cameras? Possibly, but it could also be for other sensors. Maybe some sort of face unlock system? We cannot say whether or not these screen protectors are truly based on the Pixel 3 designs. Past screen protector leaks have been hit and miss, but several of them have been accurate for Samsung phone launches. We'll have to wait and see what other leaks the summer brings.